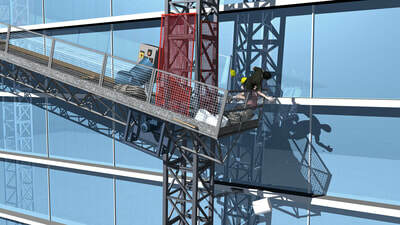 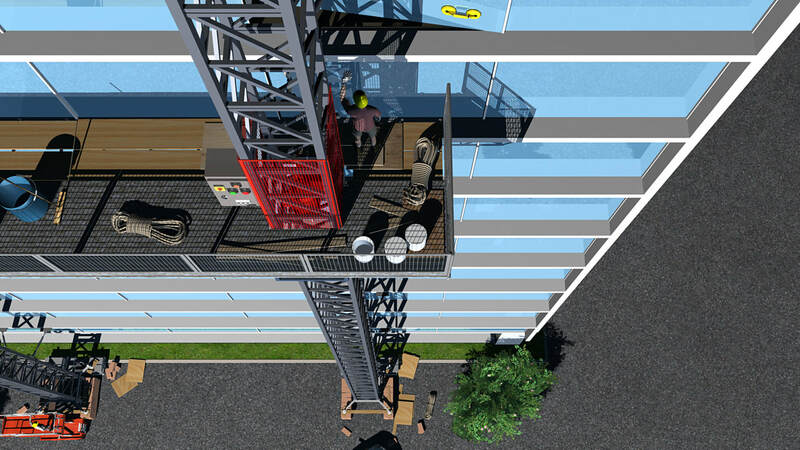 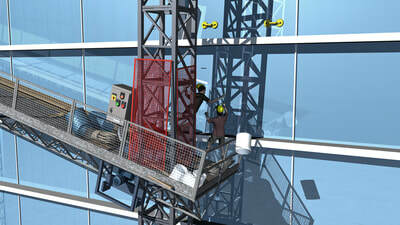 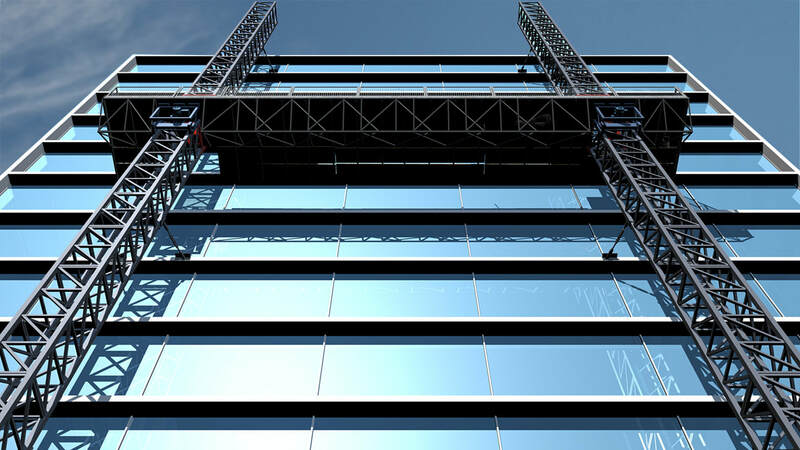 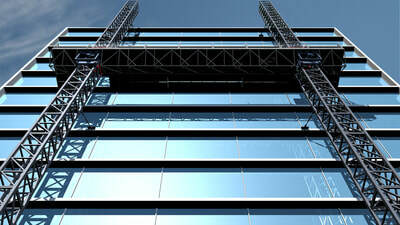 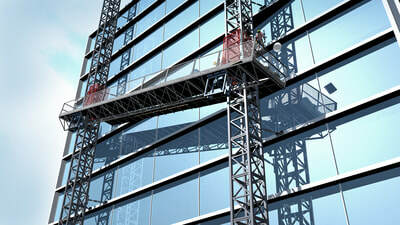 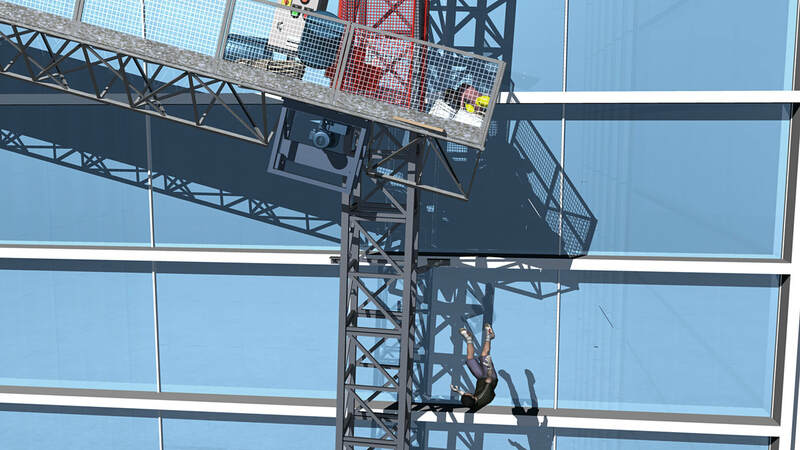 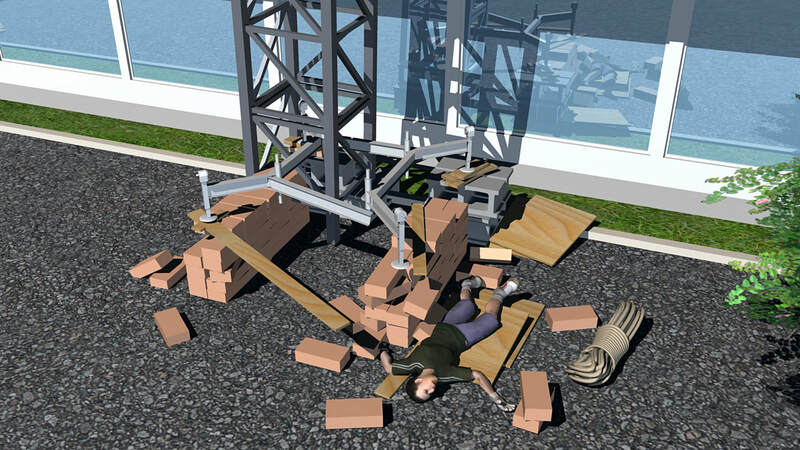 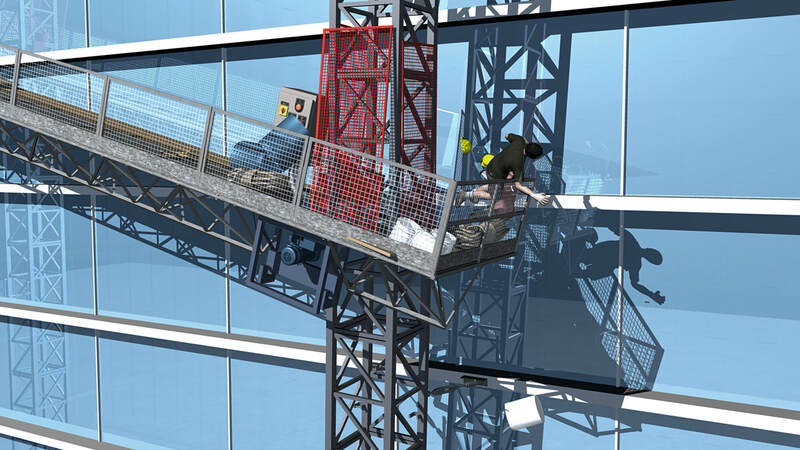 In this set of construction accident storyboards, a worker on a mast climbing work platform fell 73 feet to his death when the scaffold he was working on dropped 20 feet on one side due to the collapse of a sub standard footing for one of the mast supports. 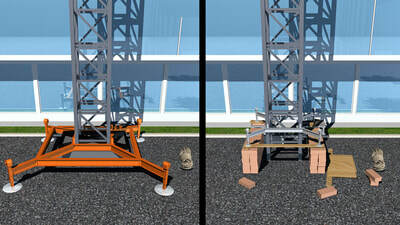 A failed masonry assembly and sheared bolt altered the geometry of the platform and masts and the load stress was too great to keep the integrity of the mast and work platform together. 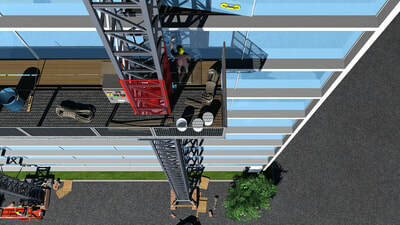 The object of the storyboards was to present the sequence of the accident, showing the work area and mast support footing’s lack of integrity, educating jurors to the importance of a properly set up footing and to show the catastrophic result to the workers using the platform. 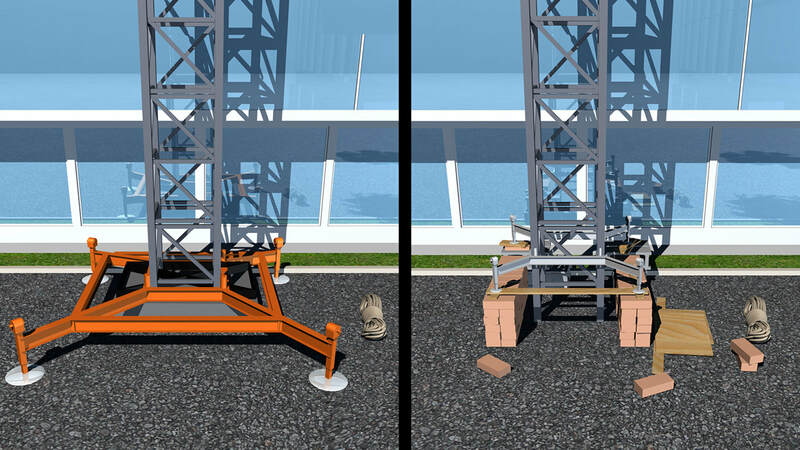 We contrasted the sub standard to a properly set up mast footing, using dramatic perspectives to remind the audience of the severe height and danger the workers were operating from when the accident occurred.